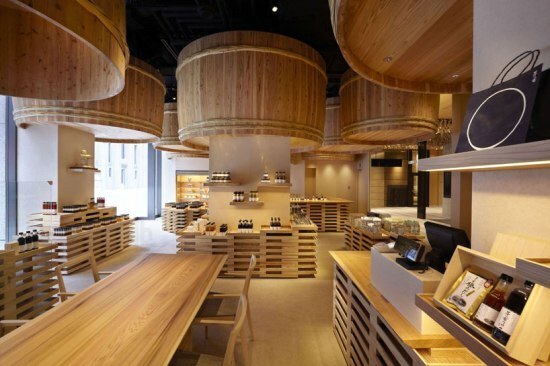 Kengo Kuma has completed the interior renovation of the Kayanoya shop in Tokyo, a soy sauce manufacturer who has been in the industry for more than 120 years. 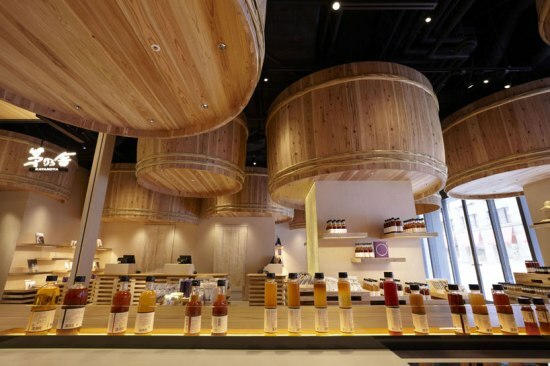 Refurbished by Kengo Kuma, this unique Kayanoya shop in Nihobhash, Japan is a reproduction of a traditional warehouse of Kuhara Shoyu, a soy sauce manufacturer whose history dates back to more than 120 years. 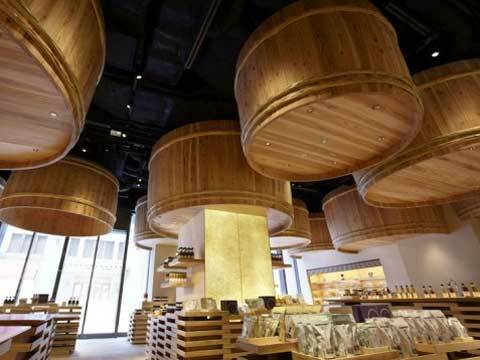 The store is designed with wooden barrels used in the production process are elevated to ceiling level, and the trays used for making koji (malt rice) are used for showcasing the products for sale. 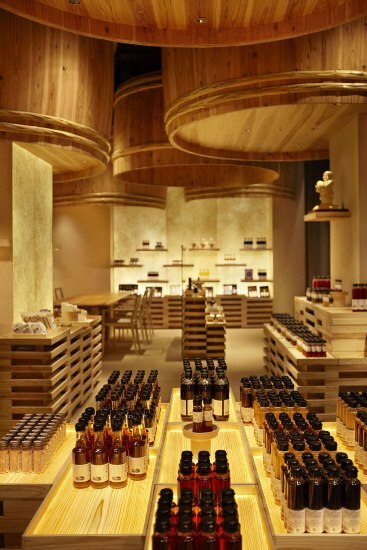 The outlet has a unique display which is an amalgamtion of traditonal design with a hint of mordern technology. 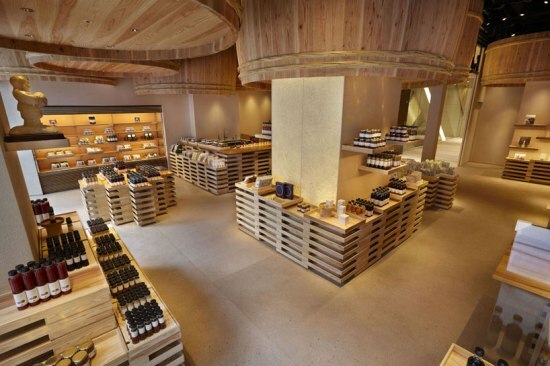 The entire retail outlet is made with cedar wood. 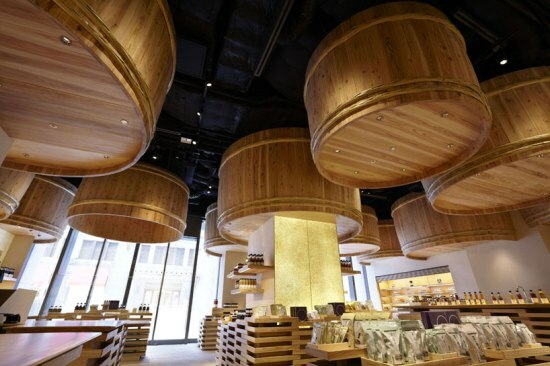 Wherein, the barrels and trays are crafted by native cafrasmen of Kyushu region, which highlights the importance of community oriented design.